Tired of cycling around, want a motorised way of getting about the city but don’t want a mo-ped? 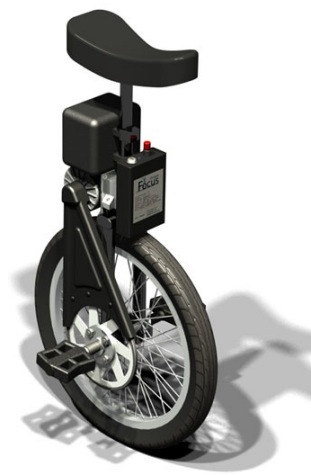 Check out the new Focus Design’s SBU (Self Balancing Unicycle)… Not only is it self balancing but it also electric and extremely small! (As you would expect for something with one wheel). It uses gyroscopes to power you back and forwards and you just lean left and right to steer (like your average unicycle) and direct yourself. Available next month in the US for a cool $1500….